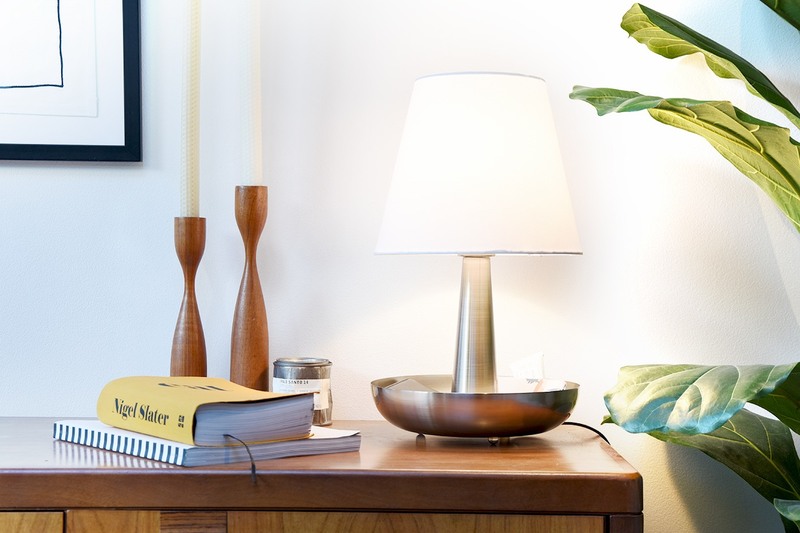 Reflect on this - our clever Cache lamp combines lush lighting with savvy storage – the perfect place for night-time-knick-knacks and prized possessions. Designed by Kit Grover, this lush luminary is sure to offer light relief to anyone seeking an elegant lamp for their bedside table. With its brushed metal base and material and cone-shaped-shade, this is the ultimate light fantastic.